Ann Howard Creel is the author of Nicki and Thanks to Nicki, which feature American Girl’s 2007 Girl of the Year™. She has written two previous books for American Girl®: A Ceiling of Stars, which won the 1999 Pleasant T. Rowland Prize for Fiction, and Nowhere, Now Here, a book about raising alpacas. 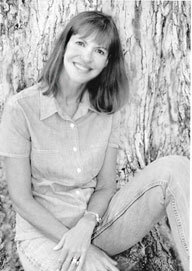 Her first book, Water at the Blue Earth, won the Colorado Book Award in 1999, and the more recent Under a Stand Still Moon was named a 2006 Notable Trade Book by the National Council for Social Studies and the Children’s Book Council. In addition to her books for young readers, Ms. Creel has also writes for adults. Her first adult fiction book, The Magic of Ordinary Days, was made into a Hallmark Hall of Fame television movie. She grew up in Texas but now lives in Colorado, where she writes in the evening and is a school nurse during the day.